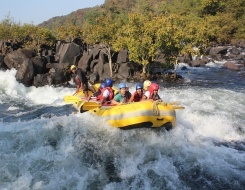 Why Choose Rishikesh For Rafting Camps? When Hansel and Gretel were lost in the woods in their pursuit, many readers of the story must have wished for a tent to appear magically, for them to relax for the night. However, here white water rafting to be discussed. Are you wondering how the two connect? Those kids were having their kind of adventure and rafters have their own. 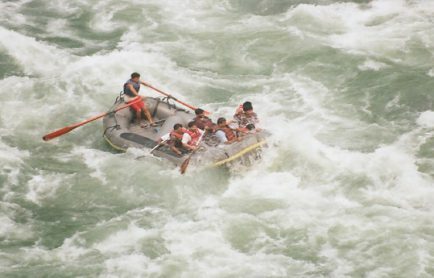 Individuals with the intention of hitting the waters of Ganges to encounter ferocious rapids have adrenaline rush far different from those getting lost in the dark of night and forest. 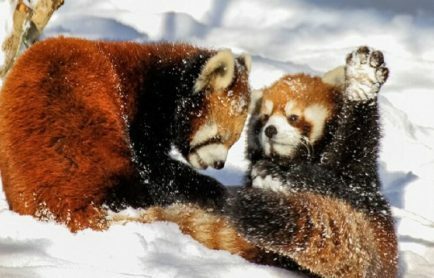 Yet, the need for a comfortable shelter after the adventure of the day is precisely same. 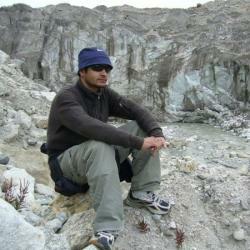 Get both, the excitement and rest, on Rishikesh Rafting and Camping tour. Rishikesh is a city associated with the beauty of Nature, the divine presence of God and a rafter’s fantasy. Located in legendary Garhwal, the place is referred in many ancient Hindu scriptures. 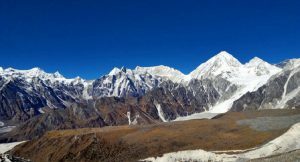 The views of the Himalayas and cool weather are more than an invitation to lovers of Nature. 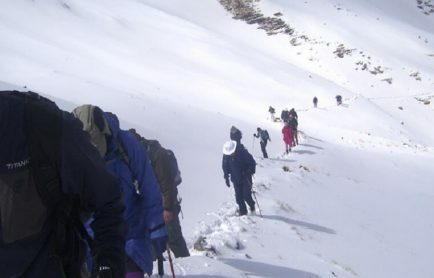 It also acts as a starting point to all the four places of Chardham of Uttarakhand. 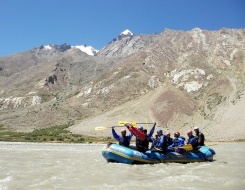 However, what pulls challenge-seekers here is rafting on the Ganges. The holy waters of the rivers are renowned to give a fun experience to all the age groups. 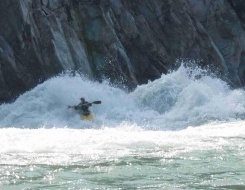 Four grades of the Rishikesh River Rafting are categorized according to the increasing difficulty level. The fun starts from the highest point, Kaudiyala followed by Marine Drive, Shivpuri, Bhrampuri and ending at NIM (less popular than the others). 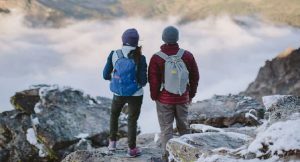 These give a chance to everyone, from children and beginners to professionals and grown-up adventure seekers. 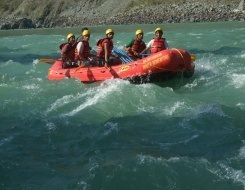 River Ganges is a safest river for the rafting in India. Cliff Jumping is the integral part of the Rishikesh rafting journey and becomes most awaited activity during the time spent on rafts. Its height varies from 25 to 20 mts, depending upon the water level. While one rafts, it is impossible to not pause to ponder over the names and their relevance in context to rafting. But, the understanding gradually dawns on the rafters as they conquer every one of them. While camping and not rafting, one can indulge in beach games like Beach Volley Ball, Frisbee, bonfire and myriad conversations. 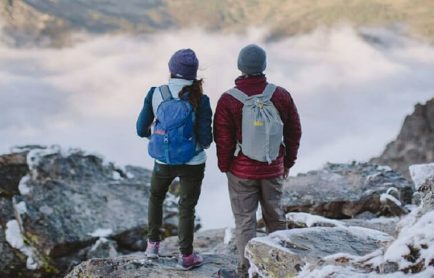 Add, if wished, wildlife views, hiking, rappelling, mountain climbing, bridge slithering, bungee jumping, flying fox, fishing, etc while camping in Rishikesh to rafting, body-surfing and cliff-jumping. Thrill is thus intuitive to come to the challenge accepters, one way or the other. 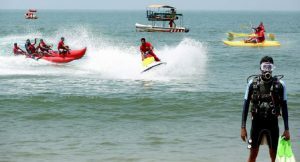 The fear of water is the major hindrance stopping individual to enjoy this form of water sport. However, the moment this fear is overcome, there is only sheer joy to be shared with the fellow rafters. No matter who they are; friends, family members or a complete stranger with a common interest, water forms the bonding. 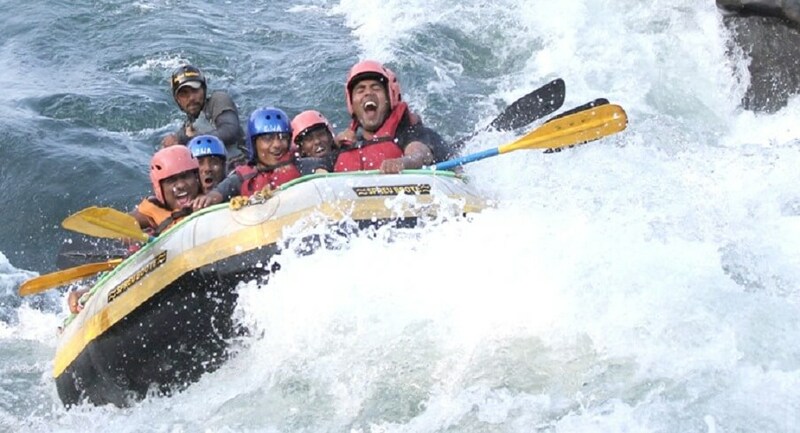 This acquaintance is furthered at Rishikesh River Rafting Camps that organize fun activities involving the individuals and enjoy their trip more. The fun that starts somewhere in Kaudiyala stops nowhere; even after the tourists return to their homes. The memories of days spent here are as thrilling as the topsy-turvy journey on the raft. Ready for the role-play of Hansel and Gretel in bright daylight, rafting on Ganges and lost in passion of this extreme water sport, are you? For Rishikesh River Rafting call on +91-9212553109 /9810352536.